We’ve read a lot of websites and blogs about the living aboard, and a great many of them include information and suggestions about staying fit while living on a boat, which by it’s nature creates some challenges due to the confined space that you are forced to deal with. Obviously no local gym to drive down to, and very few of us with have the fortune to own a big enough vessel to have our own gym on board or even a little treadmill. 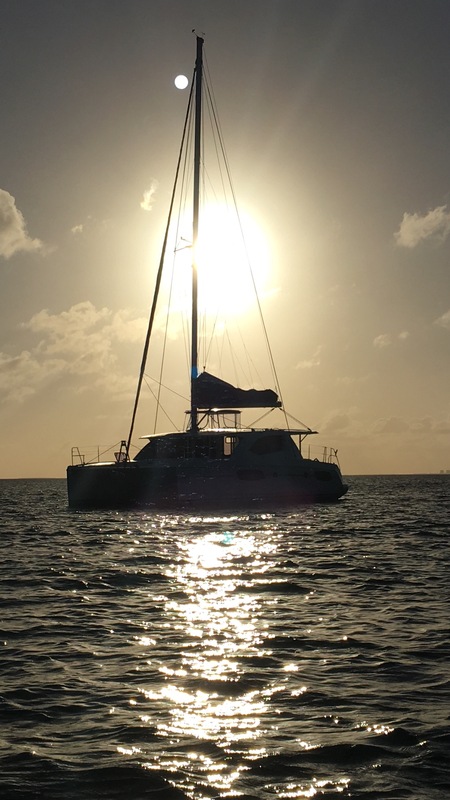 One of our favourite blogs, and one of our motivators to embark on our 5 year plan is Mike and Rebecca Sweeney from Zero To Cruising. Fellow Canadians from Kingston ON that started from zero practical experience, just as we are, and have built a great life for themselves and a great deal of knowledge and experience that we all can benefit from. On their blog you will find a great deal of information about fitness in their section called Shipshape. Rebecca also has her own website StregthPLUS! which has even more useful information, surprisingly simple and useful to apply yourself. For our part, Christa is one of those lucky people that is blessed with a very high metabolism and seems to be able to stay in shape with very little effort. During our time in Ottawa, she became friends and exercised with Vanda Hadarean. An Olympic silver medalist in Gymnastics, frequent contributor to Oxygen Magazine and 4 time Ms. World Fitness Champion. I wasn’t ambitious enough to try and keep up with them, and being lazy by nature I had to come up with other ways to try stay in shape. While we’re still landlubbers, I’ve found some success with putting a TV in front of my treadmill to keep me interested long enough to stay running for some benefit. With a bit of research I stumbled across an interesting exercise program for men and women developed by Bill Orban for the Royal Canadian Air Force (RCAF) in the late 50s, and first published in the early 60s, for both men and women. According to the Wikipedia site here, it has sold over 23 million copies and translated into 13 languages. It was innovative at the time for trying to solve the practical problem of remote RCAF stations having confined spaces and no access to specialized exercise equipment. Sounds remarkably like the situation faced on board a private vessel! The men’s program is called 5BX (3.42MB) for Five Basic Exercises, and the women’s program is called XBX (1.01MB) for 10 Basic Exercises. I found them online, so feel free to download them from the links here. Let me know what you think about these very simple and very quick exercise plans. If you would like a professional printed version, you can still find them for sale at places like Amazon.com. Here is a link to one version called The Royal Canadian Air Force Exercise Plans for Physical Fitness.